Cash Back will be paid out over the net-fee, without taxes and fuel surcharges. Oman Air brings their passengers a luxury and seamless experience to all 49 of their destinations around the world. 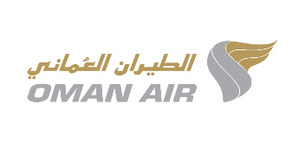 Oman Air is the flagship carrier of the Sultanate of Oman and an Official 4 Star Airline (Skytrax 2011). Founded in 1993, the airline has since witnessed massive growth and has played a major role in making Muscat an important traffic hub in the Middle East. Oman Air is a luxury full service carrier. This can be realized by offering quality, comfort and a seamless passenger experience, high level of service and safe operations.